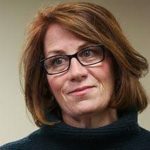 I was inspired by Erin Murphy’s campaign for Governor because she argued we can actually solve the societal problems we face if we just put our political will to work. We hear too often that we might as well just accept the world as it is because these problems are just too big for us to take on. This attitude began going back a generation when we witnessed a concerted effort by corporate and big business interest to push back against popular efforts to meet the needs of our fellow citizens. 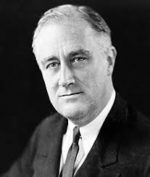 FDR experimented with numerous policies to protect people from poverty and promote a decent life like Social Security. In addition, he argued for ‘an economic bill of rights’ promising workers a right to a job and a living wage. 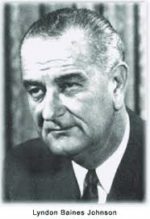 LBJ pushed for Medicare and voting rights to create a better society. Some of these struggles were won, despite establishment conservatives who called it ‘socialism’ and claimed it would destroy America. It seems strange to me that solving the problems of hardship and want should be so resisted by people who have been extremely fortunate in their lives. Despite benefiting themselves from public services, they’re upset when those they deem ‘undeserving’ are helped by government efforts. When I started running for office in 2002 I heard consistently from voters that healthcare was one of their biggest concerns. I’ve advocated for single payer universal healthcare every year I ran since 2002. Sen. John Marty and I introduced the Minnesota Health Plan, which would bring this important policy to Minnesota. We traveled the state in 2007 talking with citizens about how such a policy would create opportunity and free them from risks that our current health care system can’t. In 2010 we did get a hearing or two for our bill but could not advance it. According to a new poll by Reuters 70 percent of Americans now support a Medicare for all (universal single-payer) system —including 52 percent of Republicans. FDR and LBJ proved that government could respond and improve the lives of millions of citizens. Our current President has proven government can improve the lives of a much smaller number of extremely wealthy individuals by cutting taxes. I don’t understand why this is acceptable. Rather than solving the problems of increasing health care costs we end up making the extremely wealthy even wealthier. We decided for the general good to provide an education to everyone. In fact we make school attendance mandatory. We’ve decided for the common good to provide protections against crime and fire by having police and firemen protect us. We assure public communication by having a national postal service. These common goods we believe are best provided by the government and at least until recently haven’t minded providing them. A universal single payer system would give us the ability to look at the needs and rights of citizens and patients. Providing for public needs requires political will – something sadly lacking in our current politics. Some say universal coverage gives health care to ‘undeserving’ people but we don’t apply the same thinking to schools in fact we’ve laws that protect struggling or disabled students. We know it hurts all of us when we ignore or allow struggling communities to fall deeper into despair. Diseases spread just like fire can spread we need to have a way to deal with it whether it is in a poor neighborhood or a rich one. People argue, ‘we can’t afford it,’ but the true test of what we can afford is what we set our minds to – if we believe something is important we can accomplish it especially when the return on our investment will make things better for all of us. This is true with education and I would argue it is true with health care, transportation, a clean and safe and environment and in guaranteeing living wage jobs. Instead it seems our leaders are intent on investing in the wealthiest Americans who hide and hoard their wealth in order to avoid taxes and put people out of work by buying out competitors and shipping jobs away. We can solve the problems we face if we put our minds to it. These problems will not solve themselves. Other countries have shown us the way to reduce overall costs by deciding to pay a little more in taxes and avoiding hidden costs that keep eating up our pocketbooks. Sen. John Marty will be in Northfield on Thursday, September 13 to speak and lead a discussion on his Minnesota Health Plan, Healing Health Care – The Case for a Commonsense Universal Health System, 7pm at the Weitz Center, Carleton College (event is open to the public). Senator Marty’s book outlining his plan is available in e-book form at no cost at www.mnhealthplan.org or it can be purchased directly from the publisher, Birch Grove Press or your local independent bookseller. Copies will be available at the Northfield event.